Design by Community project points the way for Espoo ahead of Nokia World. Nokia World kicks off in just a few days. And while the N9 might not be making an appearance, a device even more exciting is currently being touted on Nokia's official blog. Dubbed the Nokia U, this concept blower was cobbled together as part of a Design By Community project, with Nokia fanatics dreaming up the sleek cell and its top-end spec sheet. 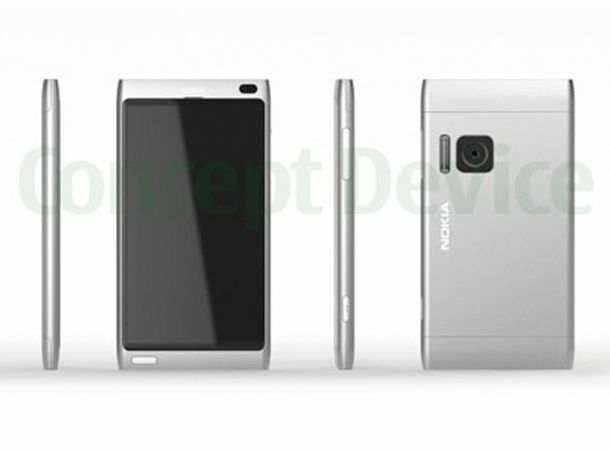 The design is definitely reminiscent of the incoming Nokia N8, albeit sleeker and with an apparently metal finish. The specs sound stellar too, with a 4-inch capacitive touchscreen, HDMI, USB 3.0 skills, Dolby Surround Sound and an 8 megapixel snapper with 4x optical zoom. Of course, this is all just a pipe-dream at the moment. But it's exactly the sort of phone which would put Nokia right back in the mixer with the Google and Apple, at a time when its rep has taken a severe battering. What do you think? Does Nokia need to get cracking and make this device stat? Tell us what you think on our Twitter and Facebook pages.